for $369,900 with 2 bedrooms and 2 full baths. This 1,588 square foot home was built in 1973 on a lot size of 0.39 Acre(s). $15K REDUCTION. ENDLESS POSSIBILITIES, CREATE YOUR IDEAL HOME! 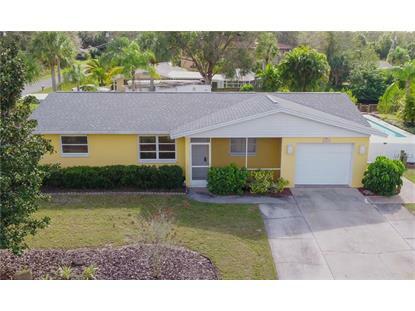 Hoping for a piece of the Florida Lifestyle & NO DEED RESTRICTIONS Secluded pool home w/over-sized corner lot on a quiet cu-de-sac, & waterfront dock w/easy gulf access? Consider the possibilities of a gem in Waterfront Estates, Nokomis. IT HAS ALL, at a price allowing for more in the future! 2 bedrooms (1 w/walk-in closet), 2 full bath in a split floor plan. Enter the great room/dining area & flow through to a Florida room enclosed under air. Screened lanai's left & right, view west to large yard w/mature landscaping. A 32'X14' solar saltwater pool redone in 2016 & newly filtered in 2018, for swimming & sunning adjacent right lanai. Ample yard/garden w/outdoor power outlets, slopes down to Shakett Creek dock, just a 20 min. sail/motor to intra-coastal waterway, Dona Bay & Gulf of Mexico. 1 car garage w/220v for RV, exits to bonus room/laundry connected to kitchen/living area could easily convert to 3rd bedroom/in-law with minimal effort. County water, 2 water heaters, bath re-pipe 2004, new roof-2013 + hurricane shutters. Layout suits customization to your taste. Rare combo of lot size, pool, & gulf access. Split plan & open living area for entertaining + bonus room adaptable to many uses make a perfect home for anyone. 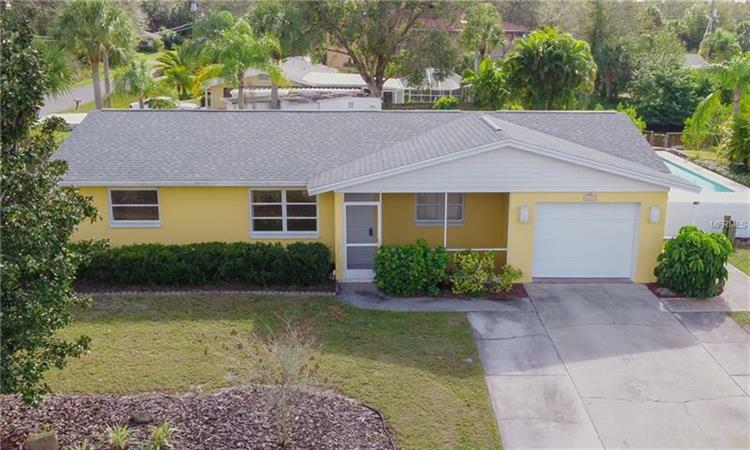 Ideal location minutes to interstate 75 & 41, Siesta Key, Venice beaches, shops & nightlife, & county's A rated schools. Don't miss a chance at the best of Florida living, schedule showing today!